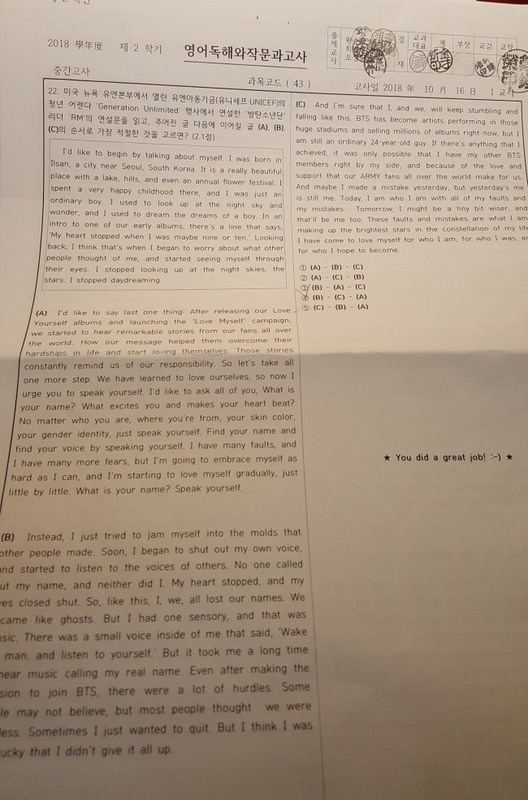 BTS member RM’s United Nations speech has appeared in study material at schools worldwide, Herald Business reported Sunday. His speech was used in middle and high school classrooms for academic purposes in countries like South Korea, the US, Singapore and Vietnam. 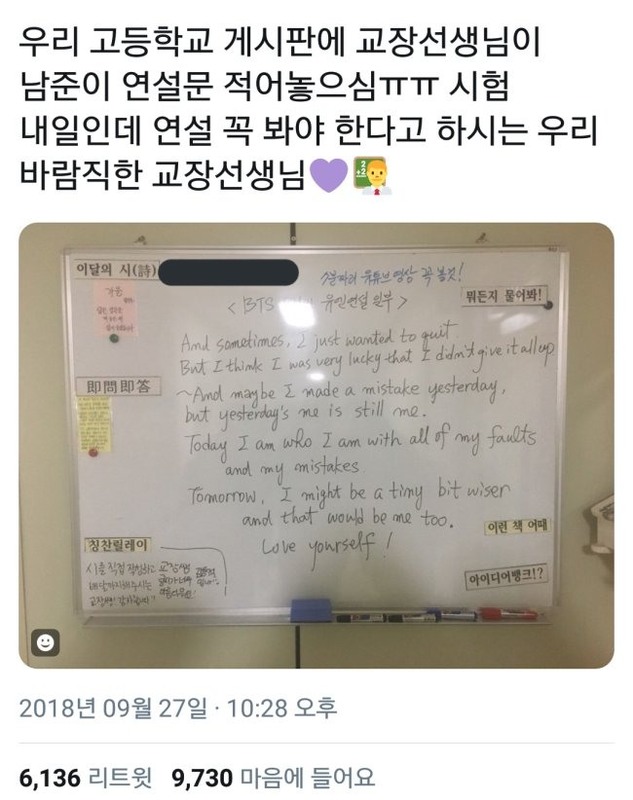 On another high school’s bulletin board, the school’s principal wrote to students to read RM’s speech prior to an exam, and stressed that all students must watch a seven-minute YouTube video of the speech. 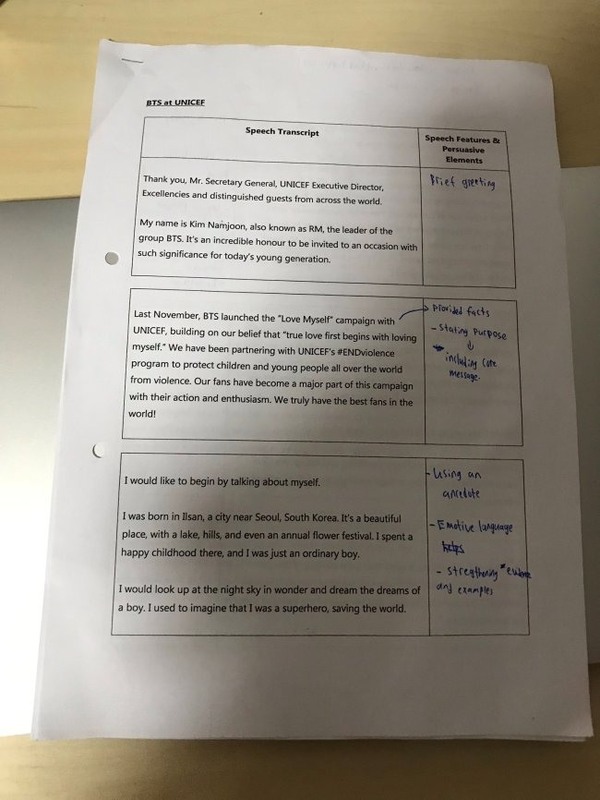 In Singapore, study material at middle and high schools explained BTS’ “Love Yourself” philosophy of self-love and suggested students “Speak Yourself,” to talk about what they are passionate about.